Seton alumna Victoria Vertrees says “Don’t let anything limit what you want to do in life.” She will exhibit that resolve as she represents the U.S. in Women’s World Hot Air Balloon Championship in Poland. At age 12, Victoria Vertrees and her older brother William took their first flight on a hot air balloon. That flight seized the hearts and imaginations of both young people. 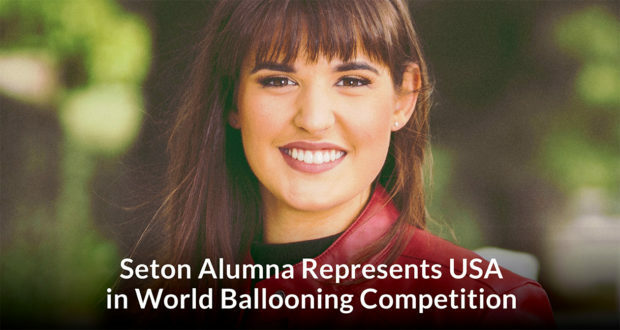 Today, nineteen-year-old Victoria will represent the United States in The 2018 3rd FAI Women’s World Hot Air Balloon Championship in Naleczow, Poland. Such dreams don’t become realities without struggle and hard work. Victoria’s first struggle—and the one that became a touchstone in her desire to be a “master of my craft”—had nothing to do with hot-air balloons. Diagnosed in elementary school with dyslexia, she underwent clinical therapy to deal with her learning difficulties. She was eleven before she finally learned to read with any proficiency. For high school, Victoria enrolled in Seton Home Study. Both Victoria and her mother Teri credit Seton’s Special Services, and particularly academic counselor Stephen Costanzo, with helping Victoria conquer her academic fears. Working with Special Services, Victoria raised both her test scores and her academic confidence, factors that led her in 2017 to the School of Meteorology at the University of Oklahoma. Teri Vertrees also stressed that Seton’s accreditation helped Victoria gain entrance to Oklahoma. She was overjoyed by her acceptance letter and has completed a first year of rugged academics, including physics and calculus classes this summer. At 14, Victoria received her student pilot certificate. 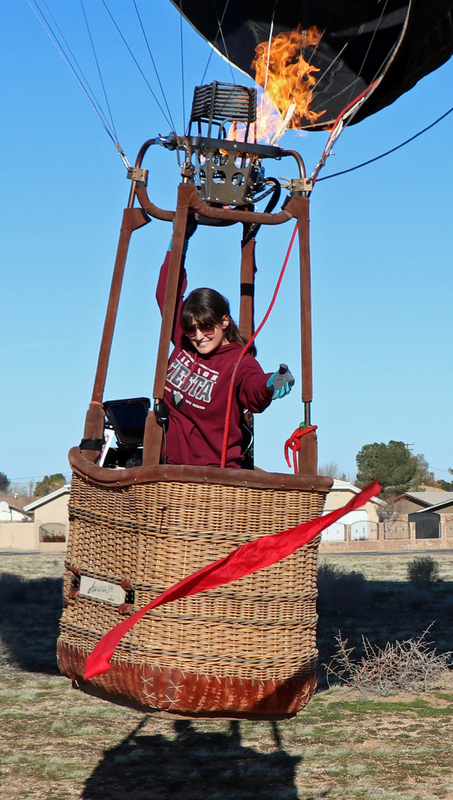 After two years of training, she earned her private pilot’s certificate and was for several months the youngest hot air balloon pilot in the United States. “I got my pilot’s certificate before I got my driver’s license,” she says. The demands of piloting a balloon can be daunting. 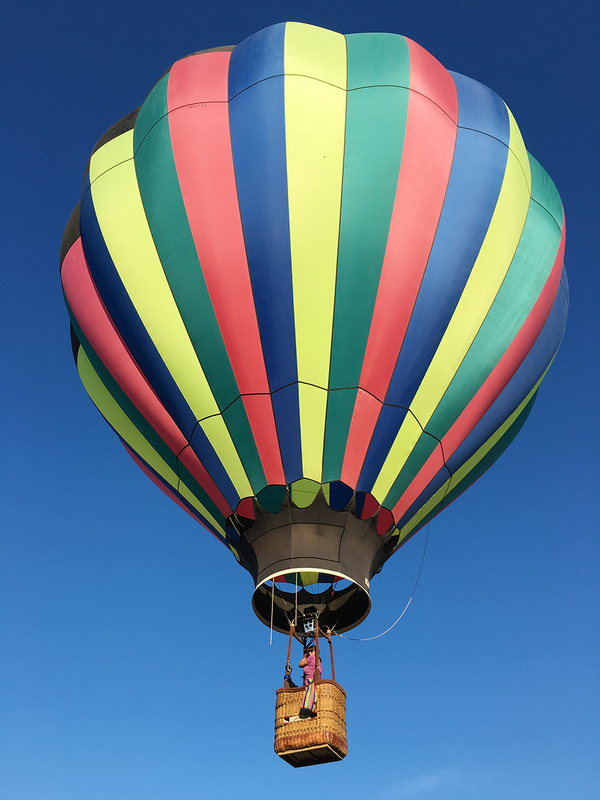 Modern balloons are not only equipped with the gas burners and propane tanks with which most of us are familiar, but pilots must also use computers, GPS trackers, and iPads while navigating the winds. This is a high tech sport, and pilots win competitions through their ability to manage and navigate their balloons with precision and dexterity. 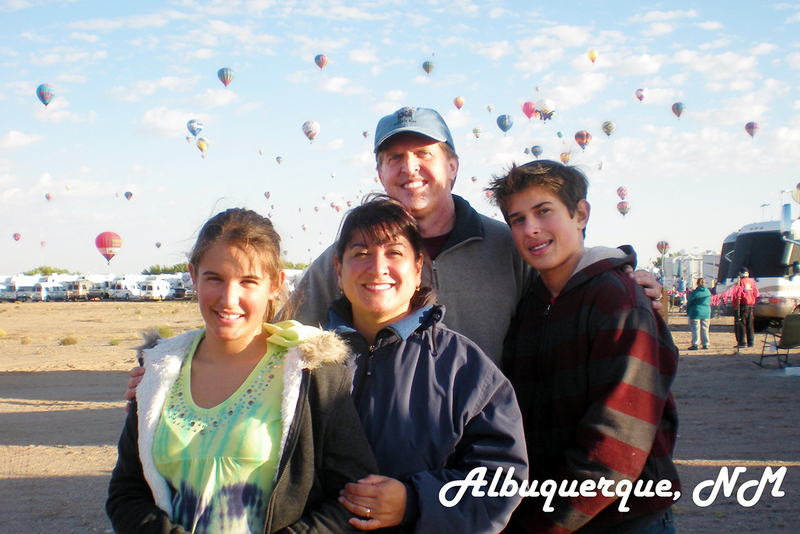 Ballooning became a passion for the entire family. Like his sister, William, now a student at California Polytechnic University-Pomona, earned his pilot’s certificate, and both Teri and Joe are intimately involved in ballooning events, with Joe bringing his skills as a photographer to various competitions. In addition to undergoing their rigorous training to become pilots, Victoria and William were active members in their parish, Our Lady of Guadalupe in La Habra. Both siblings also belonged to 4-H for ten years, where Victoria participated in public speaking and fashion design competitions. To hear Victoria talk about her love of ballooning and to watch her in action, you can find her at bit.ly/2uRY7L5.